The most accommodating man ever. 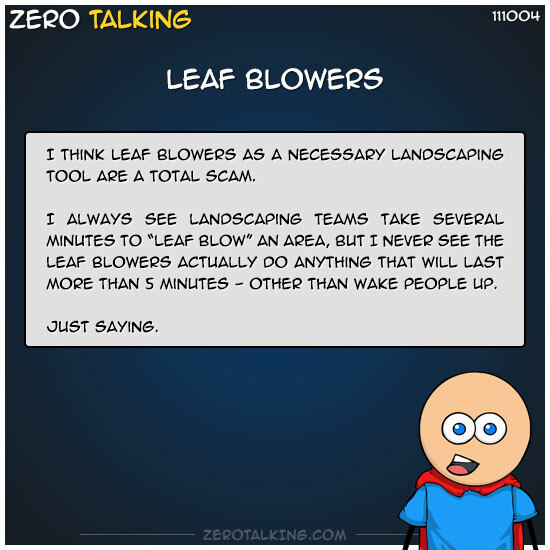 I think leaf blowers as a necessary landscaping tool are a total scam. I always see landscaping teams take several minutes to “leaf blow” an area, but I never see the leaf blowers actually do anything that will last more than 5 minutes — other than wake people up.